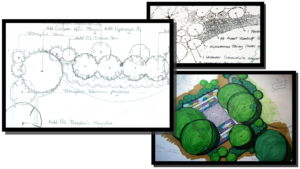 L andscaping is both science and art, and requires good observation and design skills. A good landscaper understands the elements of nature and construction, and blends them accordingly. Soil Service offers landscaping services that will combine our gardening know-how with our lawn and garden design experience to make your lawn and garden beautiful and functional. Our Landscape designer work with you for a landscape that fits your needs while using plants that will thrive in the unique to each property. We design, install, and maintain exterior plantings and interior plants and arrangements. We specialize in display landscaping, focusing on the health and longevity of gardens in harmony with their environments. Our gardens are functional, sustainable, maintainable, environmentally sound, cost-effective, and beautiful. thought it was a unique idea, we recognized that there were insurmountable problems with his idea—and unfortunately we never saw this young man back at a meeting. The moral of the story: experience counts! Soil Service has been landscaping and providing sound gardening advice for over 80 years and quite frankly, we've just about seen it all, and in that time have learned how to deal with a huge variety of problems and opportunities. When you call Soil Service to visit your property, you can be assured that your designer or horticulturist has the backing of hundreds of years of combined experience in beautifying Kansas City. Our decades of service has allowed us to forge strong ties with plant suppliers from around the country, enabling us to provide customers with quality healthy and hardy plants. We love plants and are constantly searching for the latest introductions that our devoted customers ask for, as well as providing a steady stream of landscape staples. We also maintain close ties with a variety of associated trades and craftsmen, so if there is any project around your yard that needs tackled, we can probably help! Our staff is involved in continuing education on a constant basis, and we strive to bring that information to you, our customer. Our designers tour fine gardens and landscapes each season to gain rich perspectives and we think you'll find working with our staff is an enjoyable and enlightening experience. We know that improving your outdoor environment can be a significant investment in time and money, so when you're ready to tackle that next project, let Soil Service help you by offering both insight and experience. You'll be glad you did!